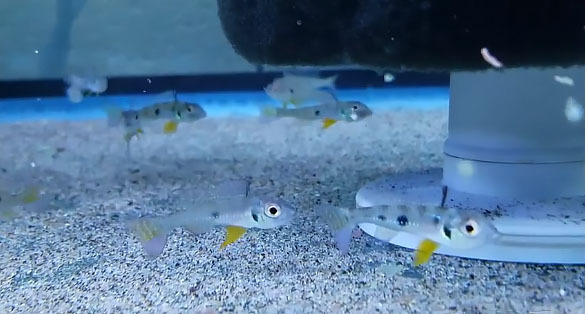 ﻿ VIDEO: Charming Dwarf Cichlid, Biotoecus opercularis "Rio Uaicurapa"
Biotoecus opercularis “Rio Uaicurapa” are an interesting recent offering that showed up at a Midwestern tropical fish importer. This blackwater-dwelling fish from the Amazon is a bottom-oriented cichlid that appreciates a sandy substrate with soft, acidic water. B. opercularis in the wild is reported to consume insect larvae and crustaceans, meaning a suitable micropredator-oriented diet should be offered. These cichlids are generally regarded as peaceful fish best suited to either a species aquarium or kept only with other peaceful dither fish. With somewhat subdued coloration slightly reminiscent of some of the more familiar sand-dwelling cichlids in the hobby, particularly those from Lake Tanganyika, one may wonder why these are of such interest to cichlid lovers. 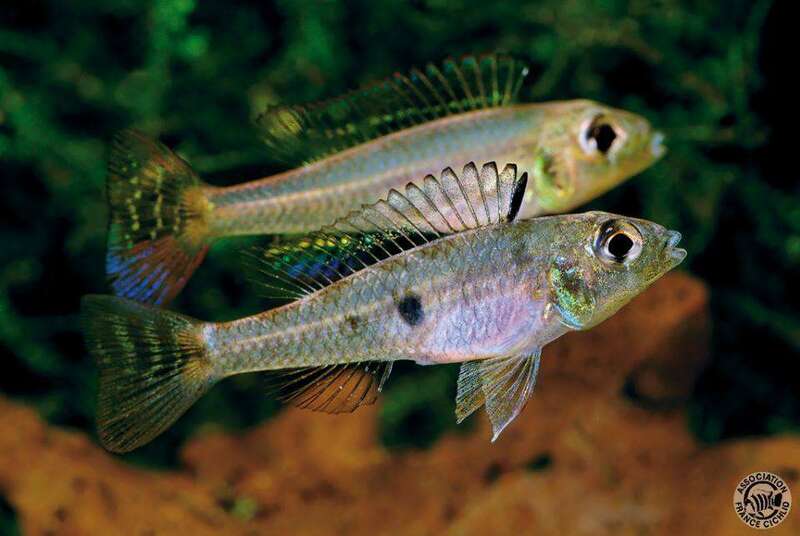 According to Aquarium Glaser, they lack “pop art colors” but their breeding behavior is not to be missed; they report that the male creates a large hill of sand, and then excavates a pit at the top wherein the pair spawns. Once again, however, sources differ, leaving no shortage of mystery around this species; Seriously Fish simply reports this species as a substrate spawning, depositing eggs in crevices, caves, or the underside of leaves. So perhaps it’s time we put it to you, our intrepid readers. Maybe you’re up for the challenge of trying to keep and breed these fish? Be sure to document the heck out of them if you do; take some great high-resolution photographs, maybe some hi-def videos, and once you’ve had some success, you might be able to clear up some of the conflicting information out there surrounding this species! When you get there, review our Contributor Guidelines and maybe you’ll wind up being a new contributor to the printed pages of AMAZONAS!